Portal with fixed crossbar 20+20 tonnes for compression tests on bogies. 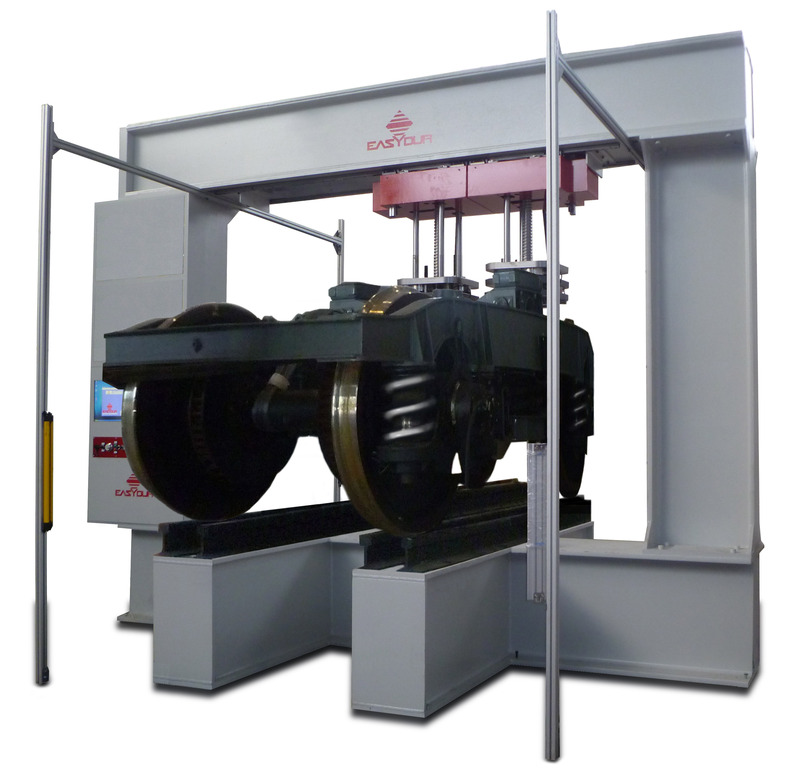 Equipped with two electric or hydraulic pressers, with optional “chasse” test device. The software is set up to insert in the worksheet also the geometric data of the bogie under load, measured manually or automatically by sensors and measuring cameras, to check the different heights and widths of the bogie. Possibility of inserting load cells to check the force on the wheel axles and of inserting a third horizontal piston to check also the front or lateral thrusts. Manual or automatic opening of the pressers, possibility of performing also fatigue tests with the hydraulic system. Possibility of performing tests on railway springs, using a suitable support.